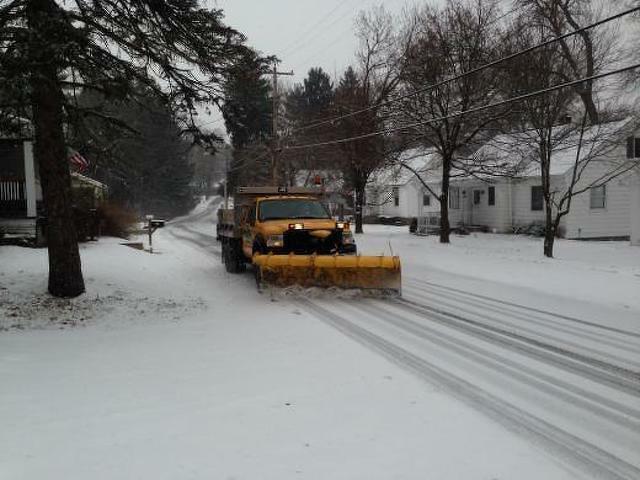 A winter storm that started on Saturday afternoon is expected to bring heavy snow and ice to much of Pennsylvania, resulting in snow emergency declarations, travel restrictions, closings and cancelations. The National Weather Service has issued a winter storm warning for central Pennsylvania from 1 p.m. Saturday to 1 p.m. Sunday. As of 6:30 p.m. on Saturday AccuWeather and NWS are forecasting 6 to 10 inches of snow and a .10 to .25 inches of ice for the State College area. Travel will be "difficult to impossible" throughout Saturday afternoon into early Sunday morning, according to NWS. In the Centre Region, College, Ferguson, Harris and and Patton townships have declared snow emergencies beginning Saturday afternoon, meaning vehicles may not be parked on streets until 24 to 48 hours after snow has ended and roads have been cleared. State College declared a snow emergency at 5 p.m. on Saturday. “No Parking: 2 a.m. to 6 a.m.” and the “No Parking: Snow Removal Zone” restrictions will be strictly enforced; no on-street parking permissions will be granted; and residents are asked to remove all vehicles from on-street parking to assist with snow removal. On the Penn State campus, a "Midnight Clear" is in effect from midnight to 7 a.m. No vehicles may be parking and faculty and staff surface lots during that time. Resident students should keep their vehicles parked in their assigned lots. Speed limits will be reduced to 45 miles per hour as the storm progresses and as of 2:30 p.m. Saturday have been reduced on I-80 and I-99. The emergency declaration allows for help for neighboring states, standing up the Pennsylvania National Guard and state agencies to bypass bid and contract procedures for quick response. Centre County Emergency Services Director Jeff Wharran said in a news release that extra personnel are on standby and the Emergency Operations Center will increase its activation level as needed for response, in coordination with local emergency service responders. "We are in constant contact with PEMA, Pennsylvania State Police, PennDOT and other state and local agencies to support these efforts," the news release said. "In conjunction with the governor’s state of emergency declaration, we have asked that the Pa. National Guard have personnel and equipment standing by if assistance is required." Men's hockey vs. Ohio State has been moved up to 3 p.m. A tweet from the team said that because Ohio State and officials were already in town, the game will continue as scheduled, but fans are encouraged to use their best judgment about attending. The women's gymnastics meet against Ohio State also is scheduled to go as planned at 3:30 p.m. Both women's tennis matches scheduled for Sunday have been postponed. Wrestling vs. Nebraska is still scheduled for 1 p.m. Sunday and women's hockey vs. Lindenwood has been moved to 5 p.m. on Sunday. - Most flights at University Park Airport on Saturday have been canceled. - Schlow Centre Region Library is closing at 1 p.m. on Saturday. - Discovery Space closed at noon on Saturday. - The State College YMCA is closing at 2 p.m. on Saturday. - Centre County Recycling & Refuse Authority's transfer station closed at noon on Saturday. - Centre Wildlife Care closed at noon on Saturday and hopes to reopen on Monday. For questions, call 814-692-0004 and leave a message. - State College Area School District buildings closed at noon on Saturday and will remain closed through Sunday. - The Palmer Museum of Art closed at 4 p.m. on Saturday and will be closed on Sunday. - FUSE Productions' Musical Theatre Cabaret scheduled for Saturday night has been postponed until 7:30 p.m. on Jan. 26 at the Singing Onstage Studios. The Play Reading Series at 7 p.m. on Sunday at Singing Onstage will go on as scheduled. - MLK: A Musical Remembrance, scheduled for Saturday night at Unitarian Universalist Fellowship of Centre County, has been postponed until a date to be determined. - Lady Grey's Late Night Cabaret scheduled for 8 and 10 p.m. in the State Theatre Attic has been canceled. Ticket holders will be contacted. - The Lyons-Hall Ensemble concert scheduled for Sunday afternoon at Unitarian Universalist Fellowship of Centre County has been canceled. - The Bridal Expo of Central Pennsylvania, originally scheduled for Sunday afternoon at the Penn Stater Hotel and Conference Center, has been postponed to Feb. 10. Have a closing, postponement or cancelation to add? Let us know by emailing [email protected]. 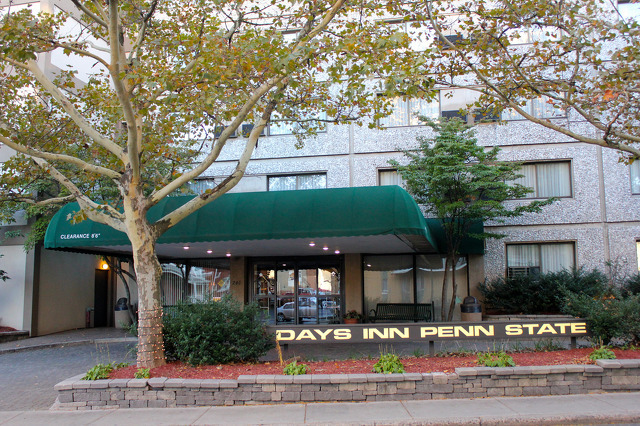 Centre County is moving forward with the first ordinance of 2019 and is looking to increase the hotel occupancy tax from 2.5 percent to 5 percent, which is the maximum allowed by the state.